Known for creating the Super Smash Bros. and Kirby video games, he also voiced characters in several of the games in these popular series. 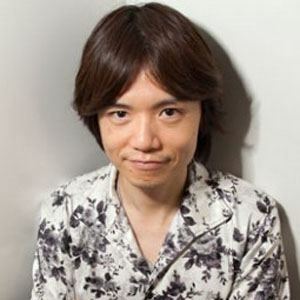 In his late teens, he began working for the Japanese HAL Laboratory, Inc. video game company. He later worked for Q Entertainment and created his own companies, Project Sora and Sora Ltd. He directed such Nintendo DS games as Kid Icarus: Uprising and Meteos. He was born and raised in Tokyo, Japan. He married Michiko Sakurai. He and Final Fantasy developer Hironobu Sakaguchi both had successful careers in the Japanese and international video game industries.